Amritsar: The matter of beating up few professional Granthis who were involved in facilitating Akhand Paath of Guru Garnth Sahib in violation of an edict of Akal Takht Sahib has reportedly reached Akal Atkhat Sahib. 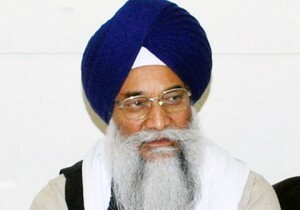 The issue has been politicised by the Shiromani Gurdwara Parbandhak Committee as the SGPC sees it an opportunity to snub members of Sri Guru Granth Sahib Satikar Committee, a self-proclaimed body formed to uphold the Akal Takhat Sahib edict laying down directives for proper respect of Guru Granth Sahib. A delegation of SGPC members led by Shingara Singh Lohian recently met Akal Takht Sahib Jathedar Giani Gurbachan Singh. The delegation reportedly demanded “rigid action” against the Satkar Committee members involved in the beating incident. As per media reports, Giani Gurbachan Singh said that the matter would be discussed in next meeting of Jathedars of five Sikh Takhats. The beating incident had triggered controversy after video of the incident had surfaced over social media, which showed members of Satikar Committee beating up accused granthis. Sikh resident of Dubai honoured with Canada’s Bravery Award for saving 6 lives from a crashed burning plane.